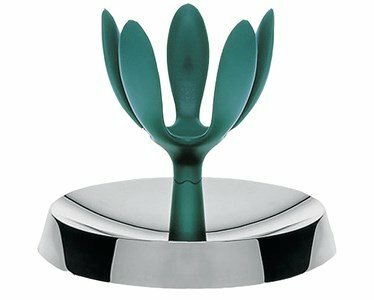 A huge hit design and Stefano Giovannoni's first design for Alessi. This fruit bowl is a part of the Family Follows Fiction project, that exceeded the expectations of the shapes of a large nunmber of house appliances. The funny shape resembles a cactus, that with its thorns keeps any intruder away. Great for an amazing fruity centrepiece. Made of staineless steel and PA.